"Music is the storytelling of life. 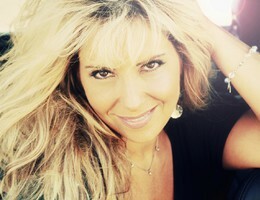 The success of Lisa Matassa's most-recent CD, SOMEBODY’S BABY, has elevated her status from "popular regionally-recognized entertainer" to "rising Country star." Her forthcoming album project, WHY I’M HERE – LEGENDARY DUETS, will be released late - 2018. Lisa’s concept for the album was to take great songs from great artists that she has admired for years and to record them as collaborations / duets to properly pay homage to those artists. With all the tracks for both volumes recorded and mixed, the project kicked-off CMA Music Festival with “A Night With Legends” concert at The Wildhorse Saloon in Nashville which was recorded live for a future television broadcast. Legendary artists on the album and performing at the concert included The Oak Ridge Boys, Mickey Gilley, Larry Gatlin & The Gatlin Brothers, The Bellamy Brothers, Lorrie Morgan, Eddy Raven, David Frizzell, Johnny Lee, Exile, Larry Stewart of Restless Heart, Tim Rushlow of Little Texas and more. The Long Island-based songstress has appeared on the nationally-televised MARIE Show and Good Morning San Diego, made her debut at the historic The Ryman Auditorium for the unveiling of the Johnny Cash Forever Stamp during the 2013 CMA Music Festival. Lisa was one of only three artists to perform (2) songs at the “Sold Out” Bridgestone Arena in Nashville with country music legends for the George Jones “Playing Possum: The Final No Show” which was the biggest show in country music history. This energetic Queen of Long Island Country has already hosted 650 AM WSM's Guest Artist Series and performed the National Anthem for major professional sporting events including the 2013 RE/MAX World Long Drive Championship Final (broadcast to over 120 million homes via Golf Channel/NBC), and at numerous MLB games. Her hit song and video "Somebody's Baby," took her to the Top 40 on both the Billboard Indicator and MusicRow charts, generated over four MILLION YouTube views and was #1 on the iHeart Radio Country Charts for 15 weeks. Not bad stats for a woman in a highly-competitive and diverse business. “I’ve been singing my whole life, and I dreamed of becoming a professional musician when I was just eight years old," Lisa recalls. "Music has always been a huge part of my life. I knew a long time ago that this is what I was going to do - no matter what it took.” Lisa just never imagined the twists and turns her career would take before bringing her to this point. Operatically trained as a child and with a resonantly powerful Pop voice, Lisa recorded two Top-10 Dance singles before she was 20. The songs were huge hits in the U.S. and abroad, earning her performing slots on concerts with acts Taylor Dayne, Brenda K. Starr and TKA. "I was born in New York but raised in Florida," Lisa explains. "I was exposed to all kinds of music, but my favorites were Patsy Cline, Loretta Lynn and Johnny Cash." Matassa may have capitalized on the Dance craze, but her heart has always been steadfastly Country. With the recent "Rockification" of the Country genre, Lisa realized that she could blend the natural heartfelt soul of Country with her own stylized brand of big city edge. SOMEBODY'S BABY was Lisa’s third genre-focused project, following 2011's ME TIME and 2012's SUNRISE HIGHWAY. The “Me Time” video shot to Number One on CMT’s charts shortly after its release, and her version of the revered, “The Christmas Song (Chestnuts Roasting On An Open Fire),” also topped the chart and remained in the Top Five on CMT’s 2011 holiday chart. It's obvious that Matassa has found the perfect fit for her voice and her personality - and her music is now resonating with fans on a global scale. "It's just crazy right now," the sultry-voiced singer comments. "I'm operating at a very fast pace, and doing exactly what I want to do musically ... which is wonderful." Lisa is not only an engaging performer, but a talented songwriter as well. She co- wrote her recent single, "I Won't Ask," with her guitarist Colin Smith and Tony Bruno, the producer of her SOMEBODY’S BABY CD. The up-tempo track rocks and twangs while revealing the singer's vulnerability in a relationship. The "I Won't Ask" video reunites Lisa with Director Traci Goudie (Hunter Hayes, Merle Haggard, Patty Loveless) who helmed her popular "Somebody's Baby" video. When she's not in front of the camera or writing songs, Lisa is on the road promoting her music. She has opened shows for Lady Antebellum, Dierks Bentley, Leann Rimes, Thompson Square, Eric Church, Ronnie Dunn, Lee Brice and more. “No one would think a girl from Long Island would want to sing Country music,” Lisa laughs, “but I live on an island with almost eight million people, and there are so many Country fans now that the timing just seems right.” Although she’s heard the axiom that you need to be in "Music City" to have a successful career, Lisa views the fact that she lives outside Nashville as an artistic advantage. She loves to cook and spend quality time with her husband and her two teenage children. Actually, that “who is she” question has now been answered. Lisa is generating hits - bringing great songs and dynamic vocals along as her standard. She's charming everyone who hears her music or meets her in person - from tastemakers to fans.... and she's drawing the attention of industry's movers and shakers as well. Her social media numbers are impressive with over 300,000 Twitter followers and nearly 200,000 Facebook friends. Many of those fans are eagerly awaiting her upcoming CD.